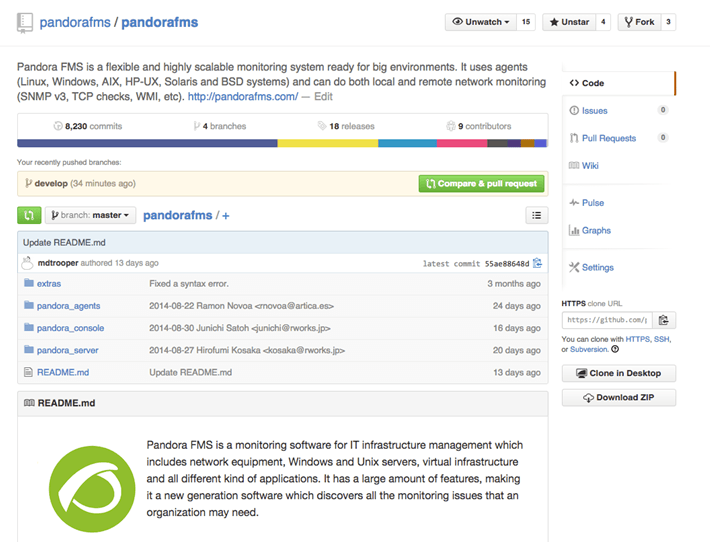 Pandora FMS moves to GitHub! After almost ten years working with conventional repository codes, first CVS and after Subversion, we have realized of the advantages and improvements of working with a system as advanced as GIT. We have been working inrelocating all the Pandora FMS code in this platform since September, and we’ve also adopted the GitFlow methodology for managing our day to day. more about Pandora FMS? ¿Would you like to get Pandora FMS?